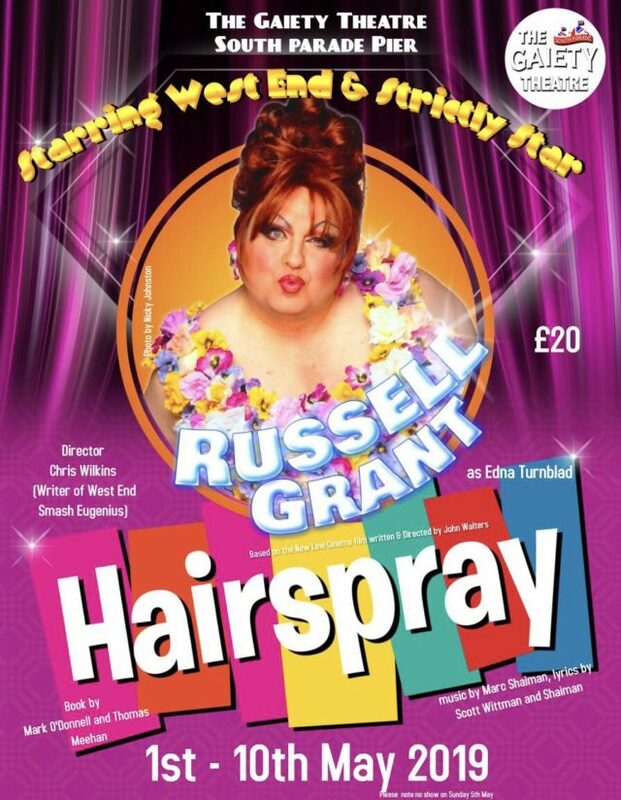 He is best known as a stargazer but as he prepares to tread the boards in the musical Hairspray, Russell Grant reveals his first love was always the stage. Theatre-trained Russell, 68, who undergoes a dramatic transformation to play Edna Turnblad, said that acting is “where my heart is, it’s my passion”. He admitted that astrology “was a hobby” that became his main career. But he says that his stint on Strictly in 2011, when he was fired from a cannon, helped revive his acting dream. He said: “People did not know about my musical theatre roots. For me, Strictly brought me back to the thing where I felt I truly belonged. American star Divine – created by Harris Glenn Milstead – played the original downtrodden wife turned glamour puss Edna in the 1988 hit film. Russell says he channelled Divine, who died in the same year aged 42, when finding his inner female for the role. Russell is thrilled to be coming back to Southsea where he was last seen in his critically acclaimed performance of Teen Angel in Grease. Hairspray runs from 1st – 10th May at The Gaiety Bar, Southsea, Hampshire.